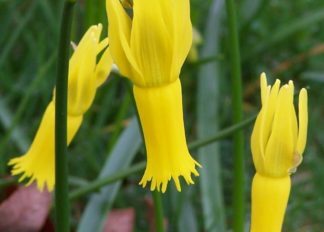 Our Narcissus cyclamineus are perfect for naturalising. They are pot grown because the bulbs of this daffodil must not dry out. The bulbs are 3 years old and most will flower in the first season after planting and will flower year after year thereafter. If they are planted in the right situation the bulbs will increase the longer they are in the ground and they will self seed too. 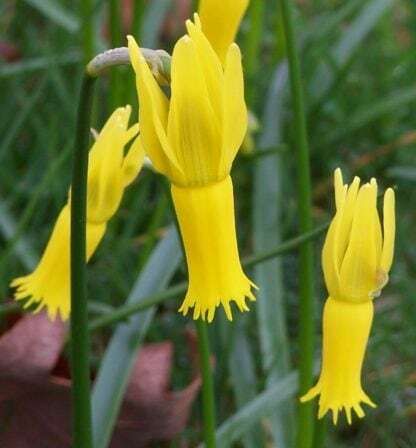 Narcissus cyclamineus is a vigorous bulbous perennial to 20cm in height, with narrow, rich green leaves and bright yellow flowers with narrow, reflexed perianth segments and slender trumpets.